How To Fix Bathtub Drain Stopper ? Read worthy and handy man tips to resolve the Issue! 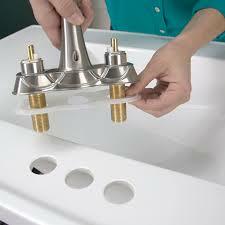 Bathtub stoppers do a great job of sealing water in a bathtub when they function correctly. However they are very prone to getting clogged by hair, dead skin cells, soap and other bath products. If not cleaned out regularly then it is possible that your bathtub stopper is not functioning correctly simply because the blockage is preventing the device from opening up enough to allow the water to pass freely down the drain. Remove the two screws holding the trip lever plate to the tub wall. Put screws in safe place, so they don’t fall down the drain. Grasp the trip lever plate and carefully pull out the brass waste-and-overflow linkage. If the cylindrical brass plunger isn’t attached to the end of the linkage, use a flexible retriever to reach down into the overflow hole and grab the plunger. Once you’ve retrieved the plunger, hook it back onto the end of the linkage rod and pinch it closed with pliers. Check to be sure the plunger can’t slip off. Loosen the lock-nut and rotate the plastic fitting to lengthen the linkage about half inch. 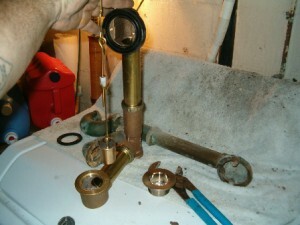 Tighten the lock-nut and slip the brass plunger and linkage back down the overflow hole. Replace the screws in the overflow plate, and flip up the trip lever. Fill the tub with a little water, shut the faucet, and then check to see if the water stays in the tub. 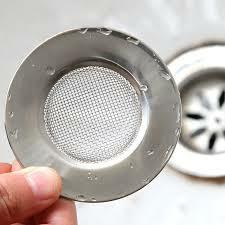 If it drains out, remove the overflow plate, lengthen the linkage a little bit more and reinstall it. Lift up on the trip lever, add some water to the tub and check once again to see if the tub stopper is properly adjusted. Repeat this process as many times as necessary to obtain a watertight seal. If this happens, the rubber seal cannot correctly perform its task of properly sealing the water in the tub, and consequently the water drains out when it shouldn’t. Sometimes, a simple adjustment to the assembly might be required to re position the rocker arm into place. Use a bathroom cleaner and brush to clean up the unit if it is still in good condition, otherwise purchase a new stopper assembly unit from Amazon or any home improvement store for around. People can hire plumbing services pros directly through ezhomeservices.in portal or can call on toll free number given on portal EzHomeServices brings a comprehensive list of home services online on affordable cost. To book any service, you have to login to ezhomeservices.in or can call on our toll free no. 1800-2700-878. Instead of going outside and search electrician, you can hire expert plumber online on your finger tip, anywhere any time. The cost is much affordable and the service delivery time is excellent as per views of various Ezhome customers. I have read so many articles about the blogger lovers however this paragraph is actually a good post, keep it up. Very good information. Lucky me I recently found your blog by accident (stumbleupon). I’ve saved as a favorite for later!